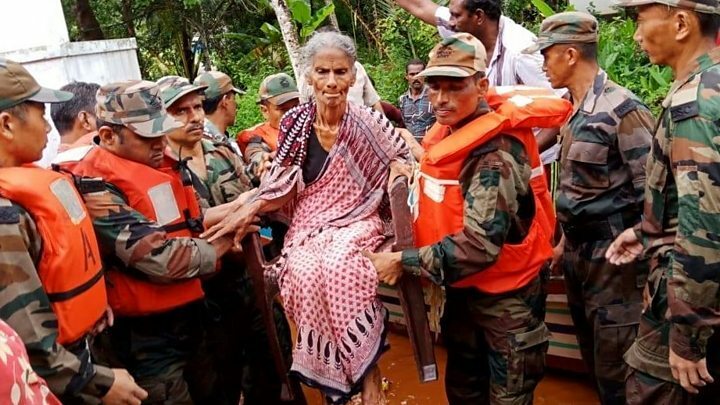 India’s army is stepping up efforts to rescue thousands of people stranded by flooding across India’s southern Kerala state that has killed 324 people. Weeks of heavy monsoon rains triggered landslides and floods, with more forecast and a red alert in place. Strong winds are also predicted for Saturday and Sunday. 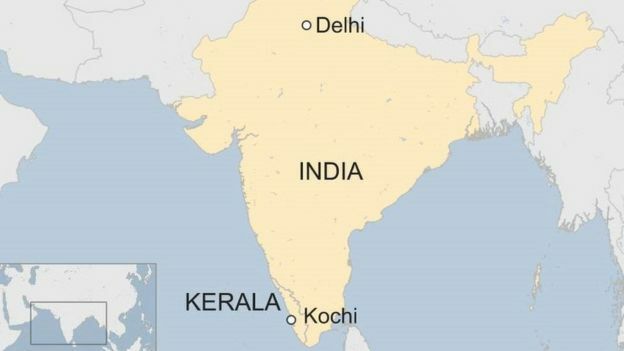 Across India close to 1,000 people have been killed in the current rainy season, which began in June, officials say. He told reporters that more than 223,000 people were now living in more than 1,500 emergency relief camps set up in the area. There are also fears that many people remain stuck on trees and rooftops – NDTV says the number is in the thousands, but other news sites puts the figure in the hundreds. Hundreds of troops backed by military helicopters are involved in a huge rescue effort. 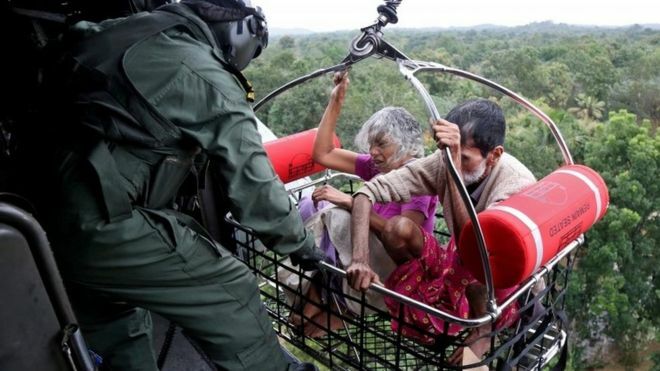 “We are deploying more boats and the army to ramp up rescue operations,” state government official PH Kurian told AFP news agency. The Times of India said 51 navy vessels and 23 military helicopters had been deployed. Helicopters have airlifted emergency supplies to many areas and a special train that carries drinking water has been sent to the state. 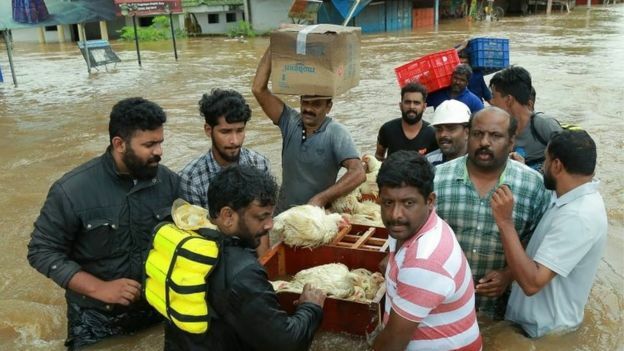 It is normal for Kerala to get some of the country’s highest rainfall during monsoon season, but the India Meteorological Department said it had been hit with 37% more than usual because of a spell of low pressure over the region. Many fear the situation may get worse as further downpours are forecast over the weekend. 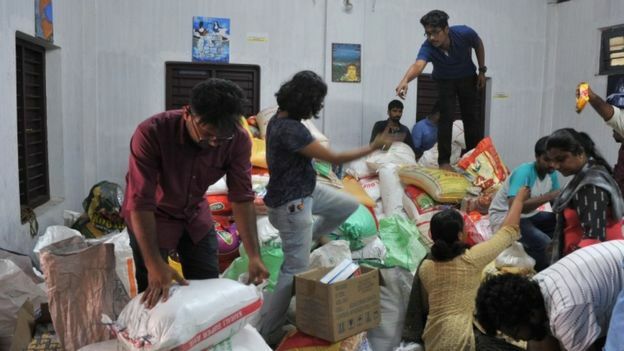 BBC Tamil’s Pramila Krishnan spoke to people who had escaped the flooding in Cochin.